Died: 24th April 1976, aged 88 years. 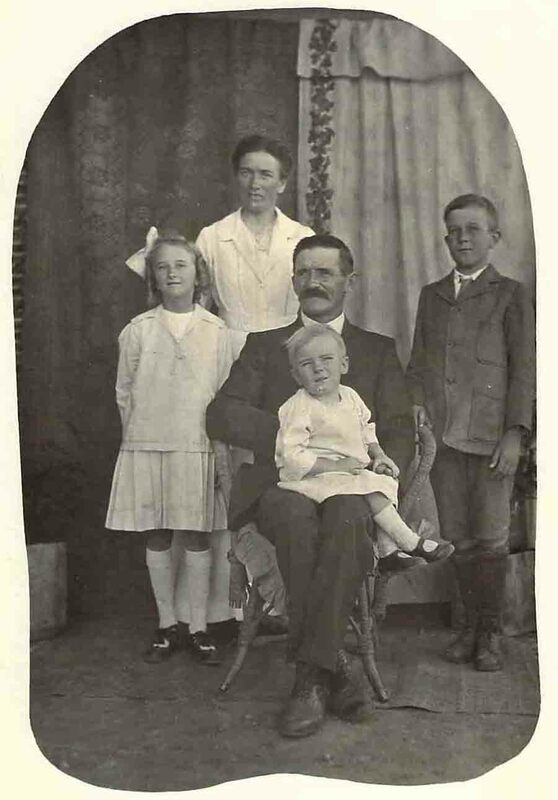 After eight children Peter and Wilhelmine Zwar completed their family with twin boys, Hermann and Carl Hermann Zwar. The twins were born on the St Kitts farm on 7th March 1876. When they were nearly 16 months old Hermann died from measles. The remaining nine children would each live to be over 80 years old. When he was three years old Carl’s oldest brother Ernst married. The same year his oldest sister Maria married Johann Joppich and the couple moved to Wirrabara in the mid north of South Australia. Carl’s father was planning to move North where land was being opened up for farming. It seems likely that Carl’s next oldest brother Johann [John] had also moved north to Booleroo Centre about this time as his father Peter Zwar Snr had bought land [section 99] near Booleroo Centre in 1877. Several years later Peter bought section 209 near Wirrabara. A week after Carl turned five the remaining family moved north in 1880. Three months later Peter bought sections 110 and 131 near Appila and the Zwar family lived on this farm for the next 25 years in a house that Peter built. Carl would live here for the remainder of his childhood and all his teenage years until he married in 1905, aged 30. The young couple settled in the Wirrabara District. 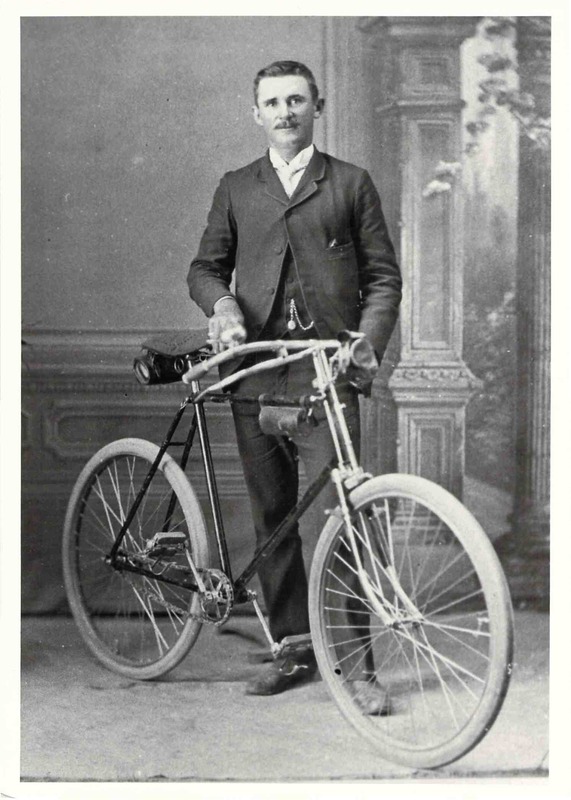 Carl was the last of the family to marry, and his parents sold their Appila farm the same year and moved to Wirrabara to retire on the land Peter had bought in 1879 [section 209]. In 1890 Carl’s father Peter wrote a letter to Germany and described the good life they were enjoying on the farm. There was a plentiful supply of meat. They killed two or three steers each year and about six or seven pigs. They had everything they needed. They could eat cake every day of the week (and not just on Sundays). He wrote that four of the boys were still at home. The youngest [Carl] was 15. One son worked with 8 horses to plough and pull the wagon, and another worked with 6 horses. The Lutheran congregation was the centre of their social lives. One Sunday Peter and Magdalena had gone to church at Appila (Pine Creek) in their buggy and pair. Their son Carl and one of the other lads had stayed home and were experimenting with gunpowder. Carl put a tin over the gunpowder as it exploded and it blew his thumb off. They wrapped his thumb/hand in a sheet, made their way to the church, walked down the aisle in church during the service and showed his parents! They quickly took him to the doctor in Booleroo in the buggy and pair! It was said that whenever Carl had his photo taken he made sure his left hand was held so that no one noticed the missing thumb. 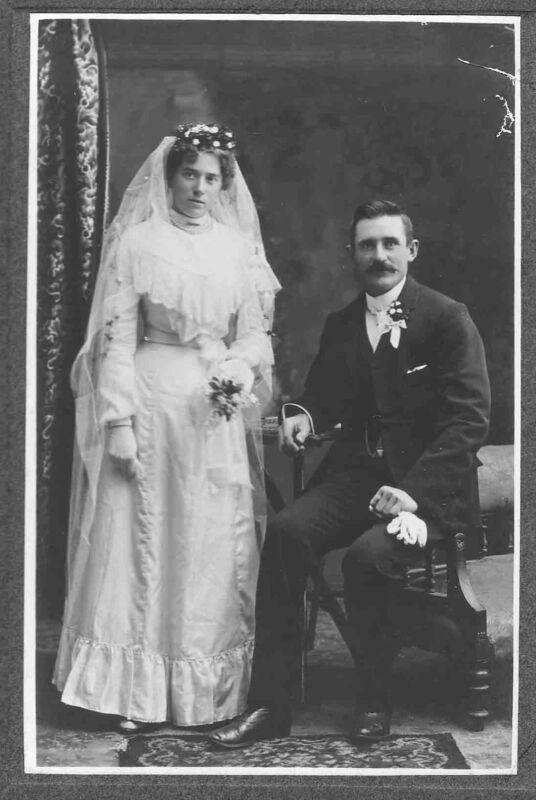 Carl married Martha Franziska Dettmar on 6th June 1905 in the Appila Pine Creek Lutheran Church. Martha’s parents lived in Solomontown where they ran a store. Martha was a talented photographer and would take many ‘glass plate’ photographs of people and sites in the Wirrabara and neighbouring Districts. Carl and Martha had three children. Carl, Melva and Otto. Otto was named after his father’s twin brother who had died as a two year old. Tragically their own Otto died when he was three years old. Carl and Martha developed a large orchard on their property. 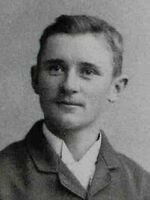 Carl became the owner of a timber mill in Wirrabara.